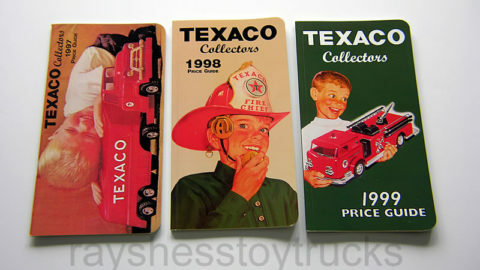 Here are the books that real Hess Toy Truck collectors use for a reference when they want the facts. 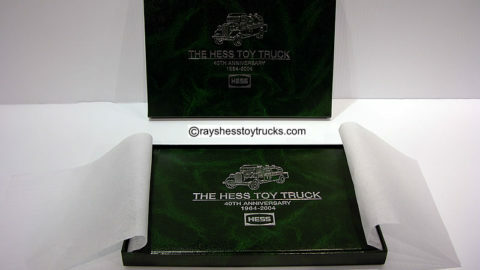 Included in this special is the 1996 Hess hard cover Platinum Edition Toy Truck Collector Book and 1996 soft cover edition book, both written by Michael V. Harwood. 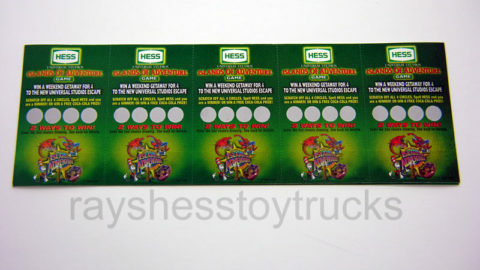 See details for bonus info! Great edition to any collection. 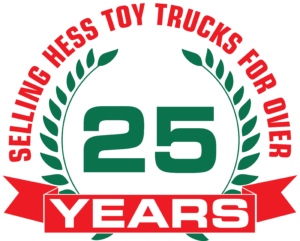 This book covers the story of the birth of the idea for the Hess toy trucks as well as the Hess warehouse break-in where thousands of toy trucks were stolen and Hess even offered a reward for their return. 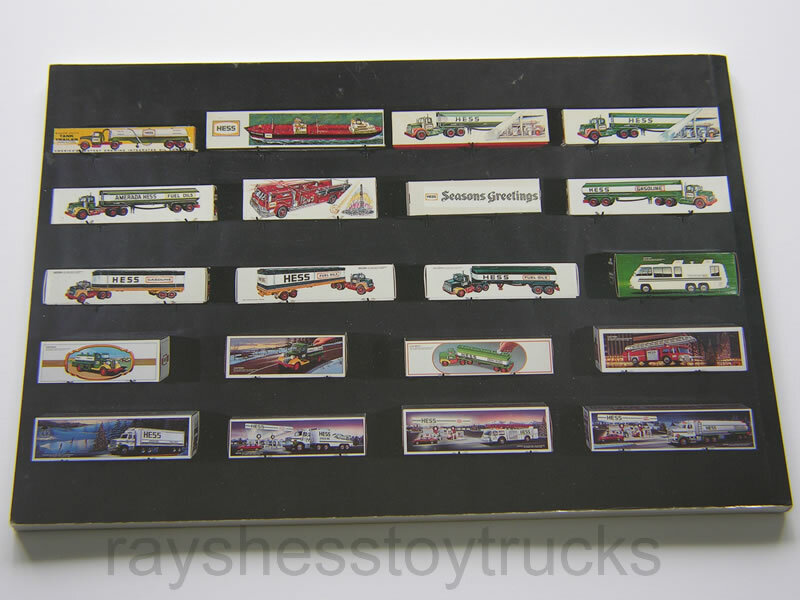 The book gives descriptions of each year truck & box from 1964 to 1996. 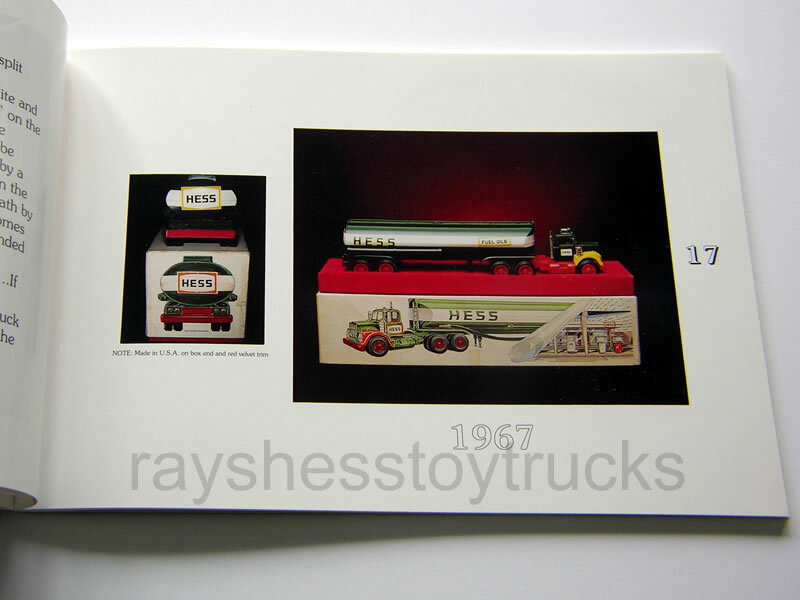 Also featured in the book were the other companies that Hess took over in the early years and produced trucks for them as well. Some of the other gas stations were Wilco, Servco/Service, Billups, Gant, McCoy & Travelers. 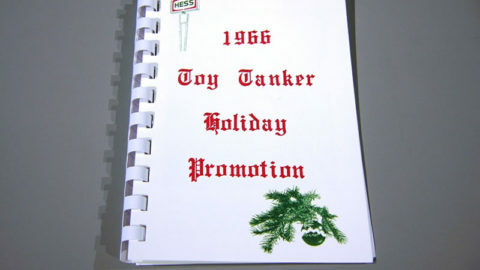 This book also shows the other Hess products such as soccer balls, glasses & cashier pins/buttons. 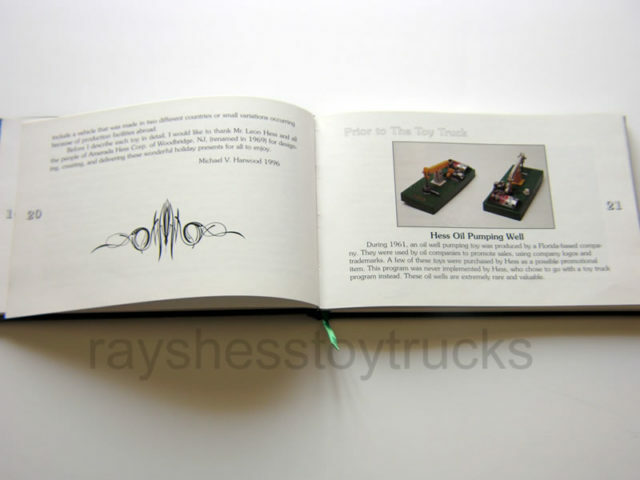 This book covers the story of the birth of the idea for the Hess toy trucks. 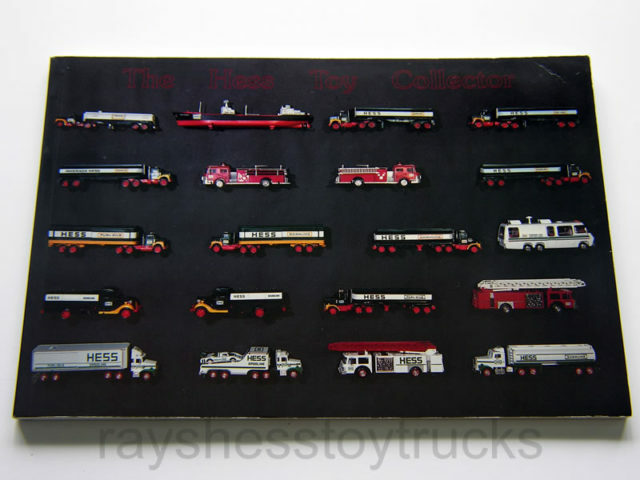 The book gives descriptions of each year truck & box from 1964 to 1990. In this book you will find tips for buying Hess trucks as well as places that they can be found other than the Hess stations themselves. 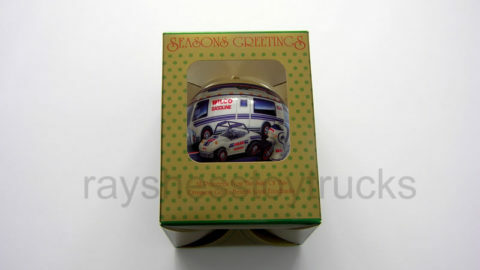 What a great edition to any collection. 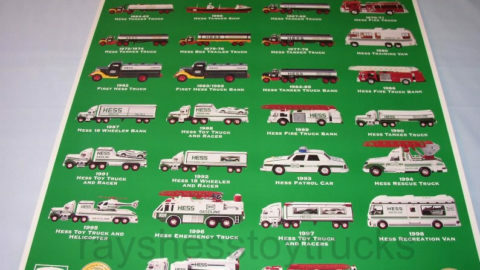 2000 Hess Millennium Poster – Half Price Sale!